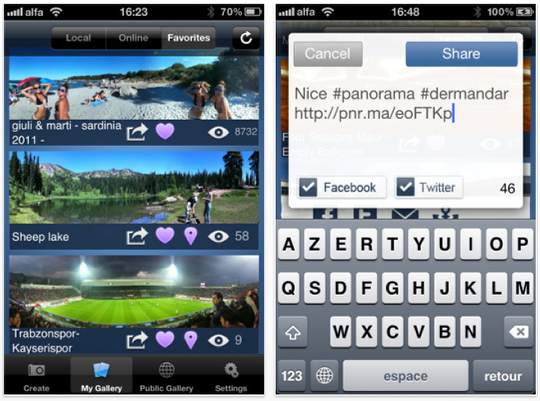 A new feature of iOS 6 on iPhone 4S and iPhone 5 is the ability to make panoramic photos in the camera application, without downloading any additional application. However, if you do not have either of these devices, you can also capture panoramic images by downloading the new version of DMD Panorama. All you have to do is frame the shot, activate the pan and turn the phone left or right. Fast, easy and free for a limited time. Thus, we obtain high quality panoramic photographs that we can share with our friends. It is a universal app and available in multiple languages, including Spanish.